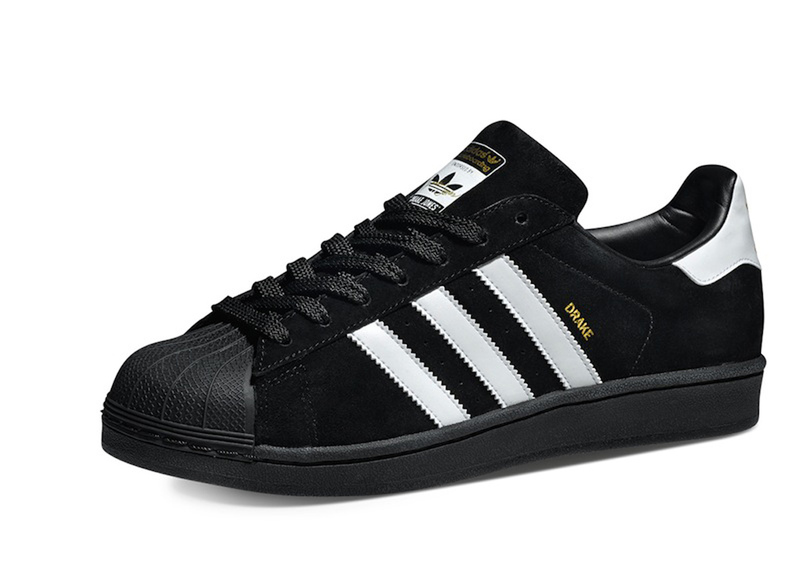 Skaters would approve of these adidas Superstars. 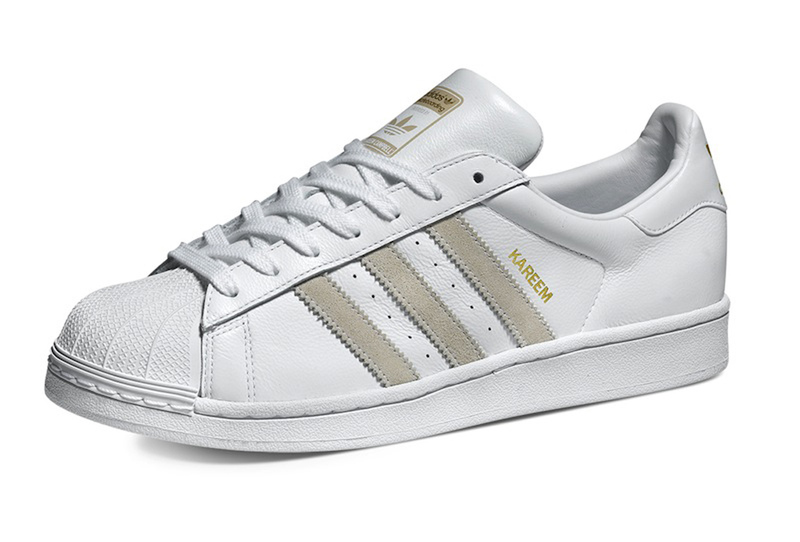 adidas brings the Superstar to the skate scene. Known as the 'Respect Your Roots' Pack, this collection consists of four colorways of the adidas Superstar, made to pay tribute to some of skateboarding's early pioneers who wore the classic silhouette. 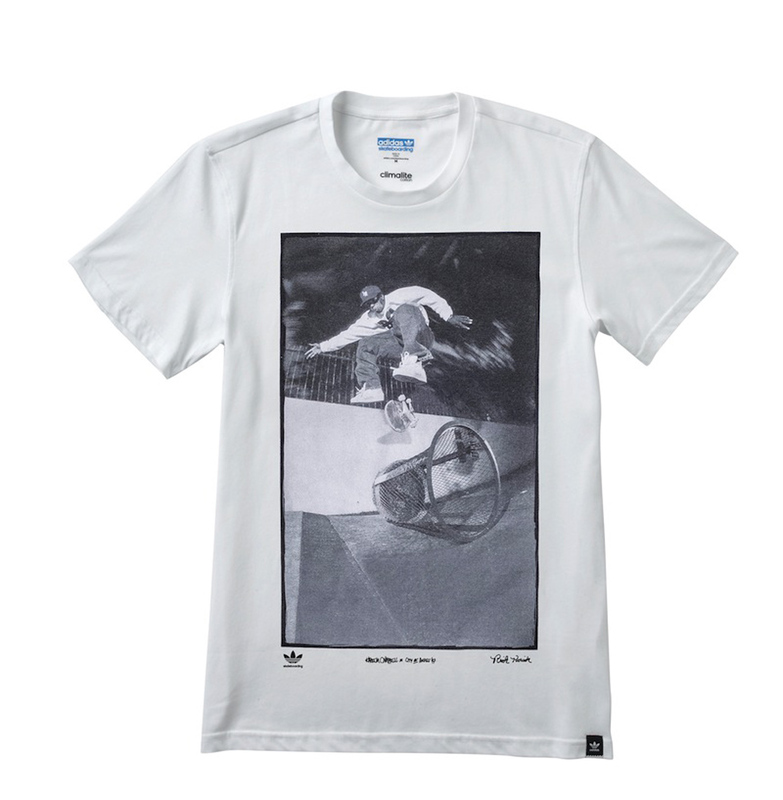 Kareem Campbell, Richard Angelides, Joey Bast and Drake Jones are all honored with their own colorway, along with a sublimated graphic t-shirt depicting a unique 'action' shot of each skater in all their glory. 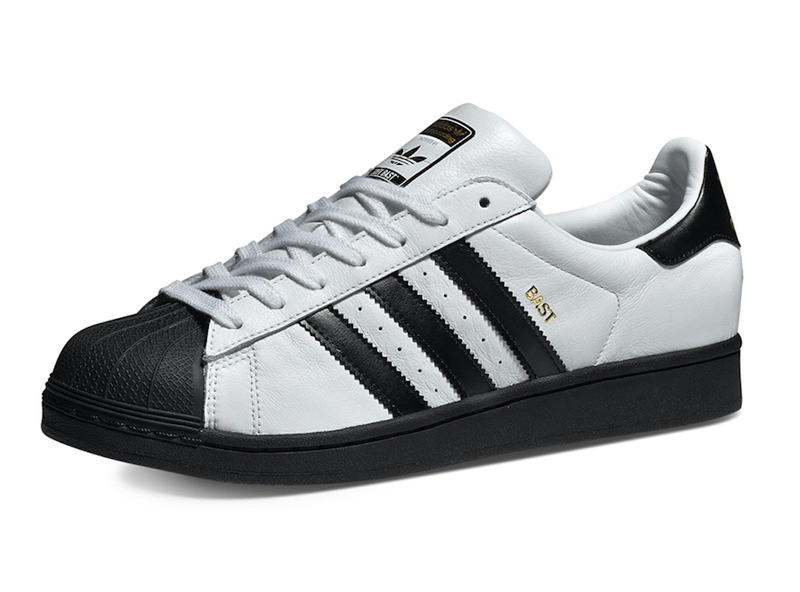 Each pair features the skaters' names on the sides above the Three Stripes logo as well as on the tongue tag. 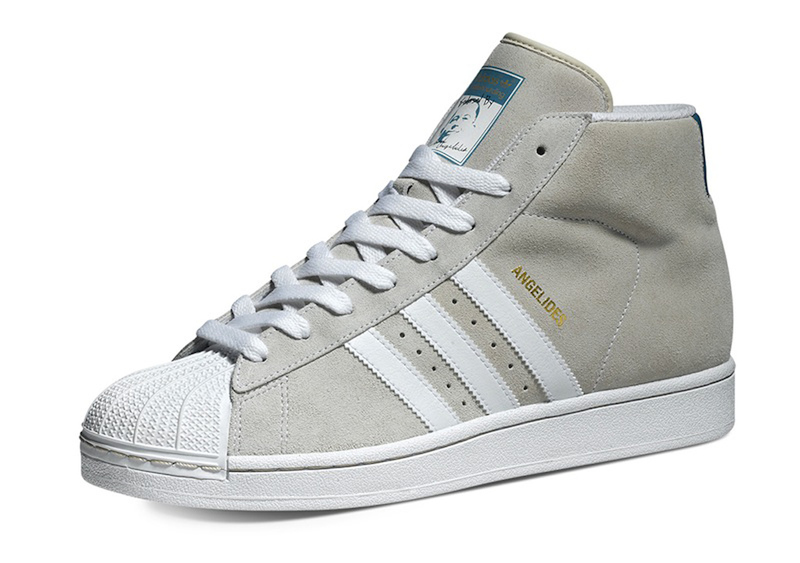 Angelides' pair is the only one that comes as a high top, complete with his face on the tongue. 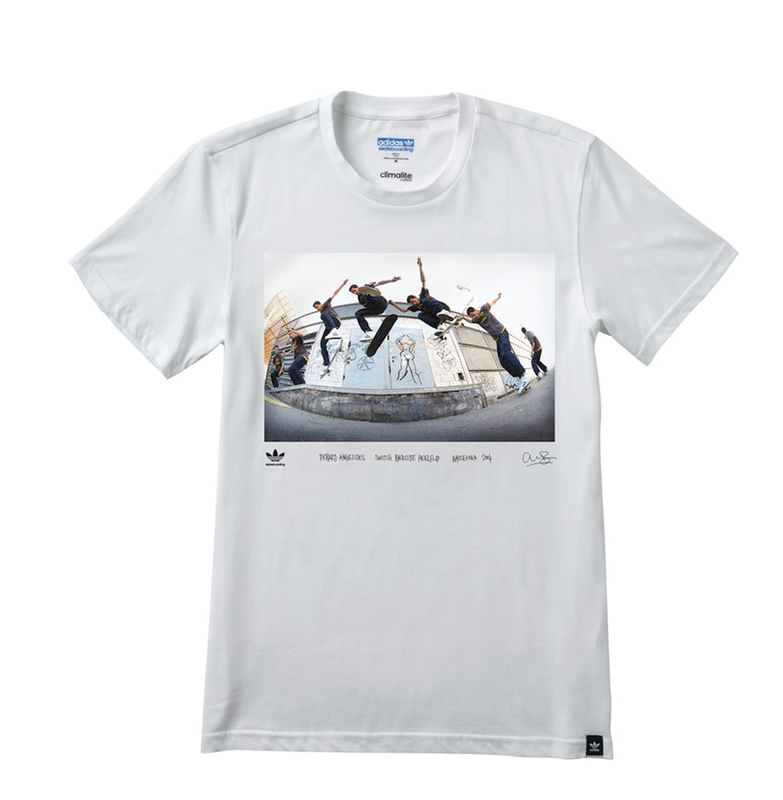 In celebration of this collection, adidas will be hosting two launch party events at retail destinations that hold stake in the heritage of the four riders. The first event will take place on Saturday, March 28 at the KAYO store in Los Angeles and the second on Saturday, May 30 at FTC in San Francisco. 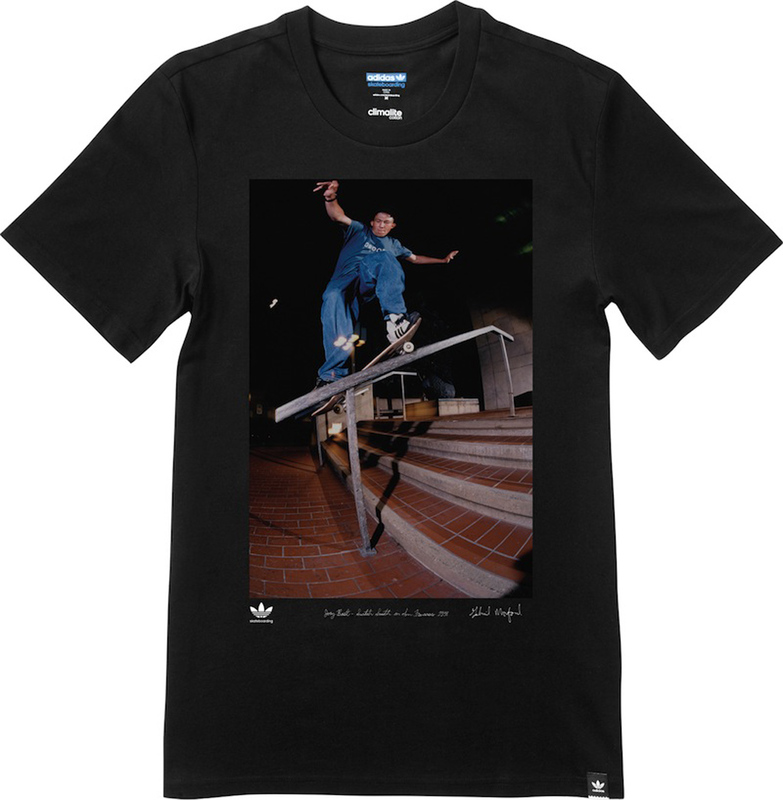 Each event will a feature special guest appearances from each of the skaters, who will present each shop with a bronzed pair of Superstars to commemorate the series, as well as the history of the iconic sneaker. 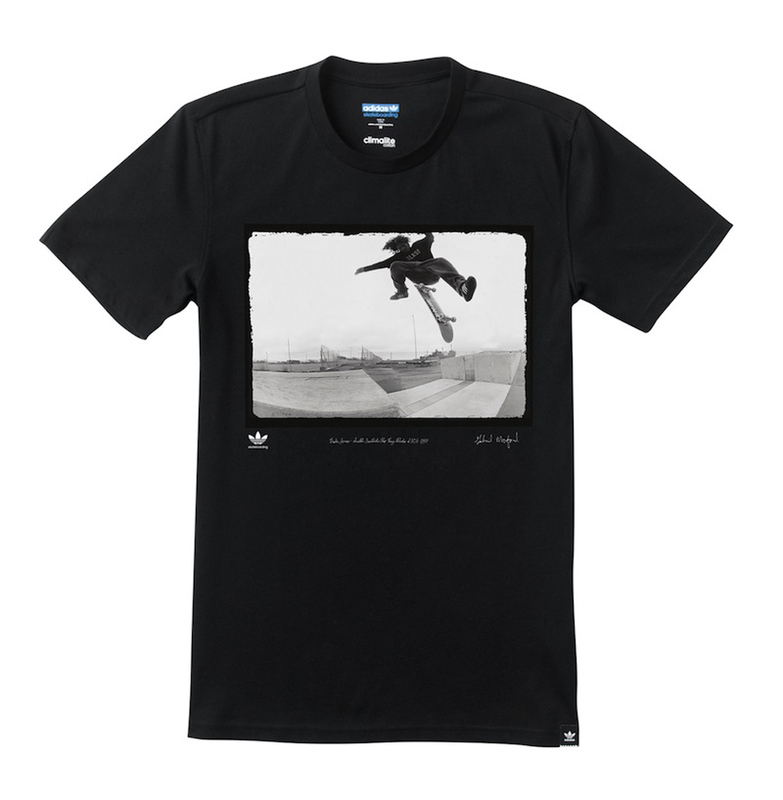 The 'Respect Your Roots' Pack debuts on Friday, April 3 at select adidas Skateboarding retailers with the 'Richard Angelides' and 'Kareem Cambell' editions. The 'Drake Jones' and 'Joey Bast' editions will follow on Monday, June 1.